I can't keep missing this!! I wasn't prepared for What's on Your Nightstand popping up today but I'm going to dive on in just the same. This past week I've felt a little disorganized in the reading department and I need to set some order up for myself in the coming month or I'm afraid I won't make it very far! For the month of January, of course, I've been trying to read as many Lucy Maud Montgomery titles as possible in connection with the Lucy Maud Montgomery Reading Challenge which I host here every year. Currently I'm reading Nomad: From Islam to America but I can't say I'm enjoying it all that much. It's somewhere near the height of depressing as a read and I'm undecided on whether or not to finish it. As for what I plan on and hope to read during the month of February . . . 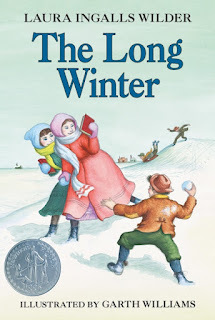 The kids and I plan to read The Long Winter in conjunction with Barbara's Laura Ingalls Wilder Reading Challenge which she hosts each year in February. 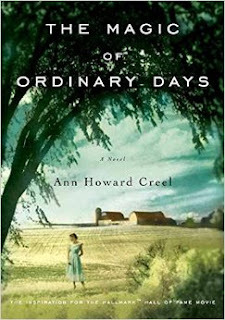 The Magic of Ordinary Days , by Ann Howard Creel. This is my in-town book club's selection for the month of February and I'm greatly looking forward to it! It's been talked up nicely. 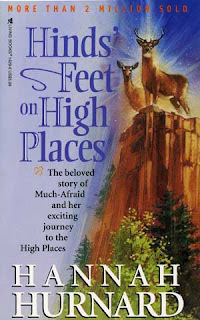 Secondly, I'd like to re-read Hinds' Feet on High Places because it's been far too long and I've forgotten enough of it that it's time for a visit. 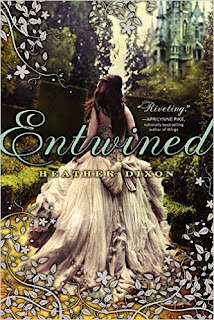 Lastly (for purposes of this post) I'd like to re-read Entwined , by Heather Dixon. Reason? I was reading the story of The Twelve Dancing Princesses to my daughter and it reminded me that I have Dixon's book on my shelf. I loved it when I first read it several years back and I wanted to read it again. It's just plain fun! Besides, I'm feeling in the mood for a fairytale (or a retelling, as it were). So that's whats on my nightstand for the month of February. What's on yours? Nomad sounds interesting. I can't imagine what a person must go through to make the journey she has. I had seen the film The Magic of Ordinary Days and didn't know it was based on a book. I don't think I had heard of Entwined - sounds interesting. I should probably read Hinds' Feet on High Places again some time - it's been ages. 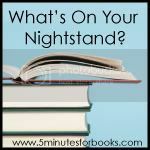 Nice book list - so many favorites & good books. I love doing occasional re-reads too - I remember enjoying Entwined and may have to revisit that one. Hind's Feet was a favorite many years ago. I just added The Magic of Ordinary Days to my list - sounds interesting. We were just talking about The Long Winter last night. I haven't read that since... well I don't think I've ever read it. My dad read the book to me when I was about my eldest's age. I need to pick back up that series and finish it with her. We made it to Plumb Creek a couple years ago. Funny, I just finished reading The Magic of Ordinary Days. Our library had only one copy -- the book club version -- the "book" came in a big blue bag with 8 copies of the book and a discussion book. I'll be curious to know what you think. 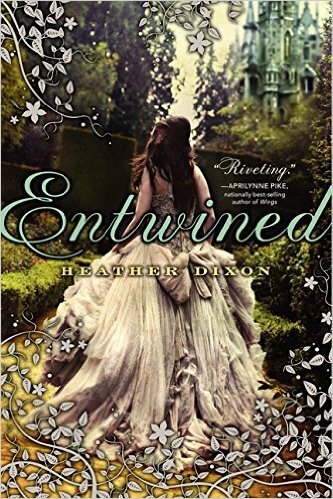 I have also read Entwined, which I do remember liking. It reminded me a lot of Shannon Hale's style of fairy tale writing. Have you read The Goose Girl? That Entwined cover is so familiar -- pretty sure I read it :) Long Winter is my favorite of LIW's books. I read it to my girls many winters when they were little. I should read again, myself! Always impresses me just how self-sufficient the Ingalls family was. It's hard to complain about cooking dinner when they were busy grinding ... straw, was it? just to bake bread and stay warm. 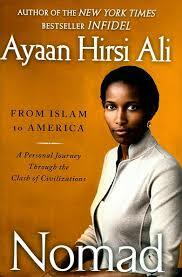 Curious about the Islam/America book. It sounds interesting! I didn't know that Entwined was based off the Twelve Dancing Princesses! Now I have another reason to read it. I'm a sucker for a fairy tale based book. If I was only allowed one book to suggest everyone read, believe it or not, it would be The Magic of Ordinary Days. Such a great book and I can't imagine anyone wouldn't like it. It looks like you have some great reading choices. The Long Winter is my favorite Little House book. I was going through my books and noticed Hinds Feet in High Places sitting on my shelf and thought "I really should read that." I think I'll wait for you to reread it and decide that. What a great reading list! I also love L.M. Montgomery and Laura Ingalls Wilder books, which I guess we never outgrow. :-) And I'm off to check out Entwined, which I haven't heard of before but sounds interesting. Happy reading!